The world is so full of sounds, both wanted and unwanted. But somehow the more we want to enjoy those wanted ones, the more those unwanted noises interfere. As a result, we tend to be more creative in thinking about how to deal with noise. There are many ways to categorize that “battle” against noise. For example, active and passive ways. Speaking of active noise cancellation, let’s give a better look at what it is. Soundproofing and Sound Absorption: What’s the Difference? Recently, especially since I have started this blog, more and more people come to me asking for an advice. 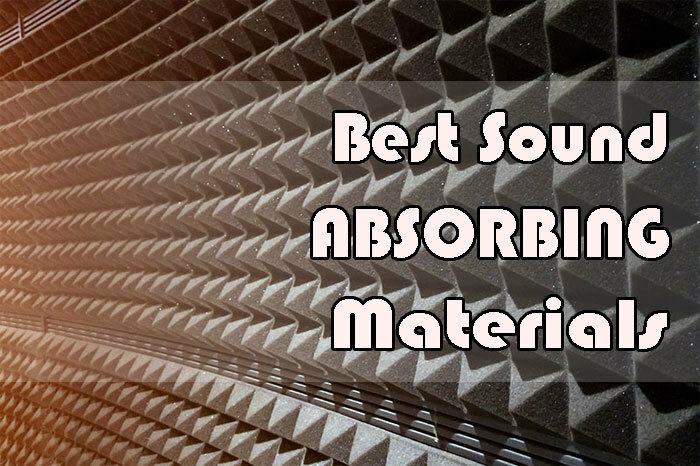 In this manner, I get a lot of questions about soundproofing and sound absorption, what is best to apply, how it can be done, but mostly regarding the difference between the two of them. I understand that it can be confusing but there is a major difference between soundproofing and sound absorption. Usually, when people have a problem with unwanted noise, they want the sound that is being made inside the room to keep it in the room or they want to prevent the sound from entering the room. This is commonly known as soundproofing. On the other hand, people may want to reduce the echoing or reverberation of the sound within the room. Namely, they are looking for an installation of sound absorption. It’s enough of a challenge to figure out where you lie in the spectrum of people who need acoustic treatments or soundproofing and similar dilemmas. As discussed before, it can be a bit of a fine line to walk. I know, for us, it wasn’t exactly an easy feat, when we set it up in our home’s theater room. It’s always a struggle to decide what you need and how to achieve it best. It doesn’t help when you consider that a wrong investment can cost a lot if you make mistakes. Obviously, it’s not that hard or costly to purchase some acoustic panels, but it can add up if you end up going in without a solid plan. Costs do add up if you need to buy multiples of even the best deal. One word of warning: there is no ideal solution that can magically solve all your acoustic problems. In all honesty, the science of acoustics often relies on a person’s feel of it all and their opinion on how things ought to be, more than it relies on something precisely and coldly based on math alone. Aren’t home theaters just the best? Although not all of us can afford them, there is no denying the fact that the movie-watching experience in a home theater if far more superior to watching movies on your laptop or TV. The sound, the video quality, the size of the screen, everything is better. Now, when it comes to sound, you know how important it is to have quality speakers. However, these speakers are quite massive and they have loads and loads of cables, and sometimes that just negatively affects the look of the room. Do Noise Canceling Headphones Protect Hearing? If you’re an avid music listener like me, you must know how important it is to have a quality pair of headphones. The difference between listening to music with and without headphones is simply incomparable. Once I’d gotten myself a lovely quality pair of headphones, I was shocked to find out just how different certain songs sound when you listen to them on headphones that are actually of very high quality. I could hear these subtle nuances in the sounds and instruments that I wasn’t able to hear before, and keep in mind that these were songs that I’d listened to many, many times before and I knew most of them by heart. Also, before I’d gotten into soundproofing, headphones always used to be my go-to solution when there was too much of external noise bothering me. I’d just put on some music and try to focus on it and ignore the annoying sounds around me. Auralex Bass Traps Review: Do They Really Work? Sometimes taming a bass in a room looks like taming the wildest and the most disobedient animal! At least my teenager told me so. You already know he’s into music, so I’ve learned a lot from him. When he told me that picturesque thing about taming bass, I made a small research to see what he meant by that. I came across lots of information on how people deal with low-frequency problems because they’re indeed an issue for all musicians. I also came across many positive opinions on Auralex products which are very useful and successful in dealing with this problem. So, let us see what is Auralex, which products does it have to offer us and more. Every musician knows that having the sound completely under control is of vital importance. As a matter of fact, we all do have that feeling of calmness when there aren’t any annoying sounds. When it comes to a recording studio, the most common problem is dealing with low frequencies. They are the hardest one to tame. However, a lot has been done in this field, so now you have so many ways to fix this issue. We have bass traps as a “first line of defense”. There are many different types available, with various sizes and of various materials.